In the field of Humanitarian service, Jain Eye project was launched in January, 2010, (on the successful completion of chaturmas of Acharya Pravar Shri Parshvachandraji m. s. and Dr. Shri Padamchandraji m.s.) 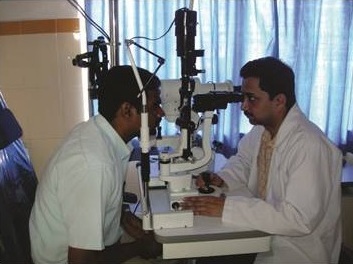 in order to help those people in rural areas who cannot afford to do their cataract operations or routine eye check up. 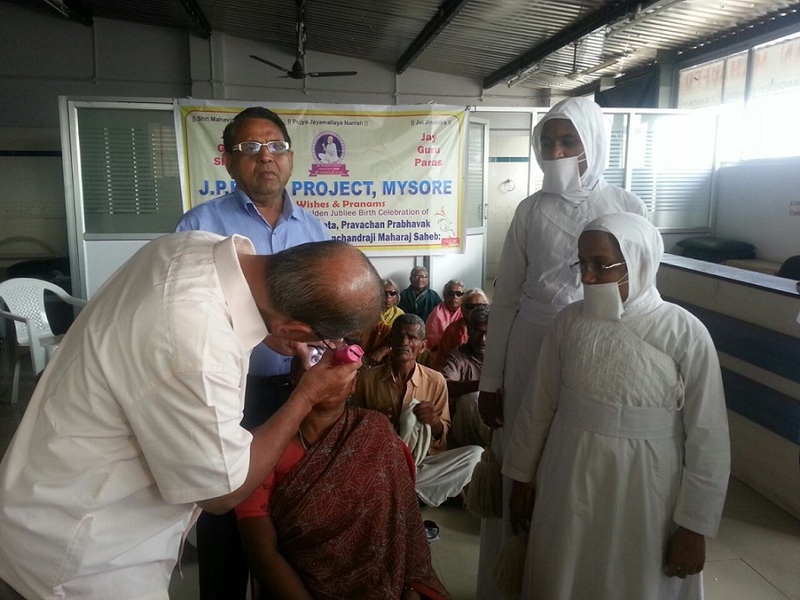 Through this project, A eye check up and surgery camp is conducted every month in rural areas, in which the team of doctors check the patients and then the needy person are given free spectacles & medicines by the volunteers. 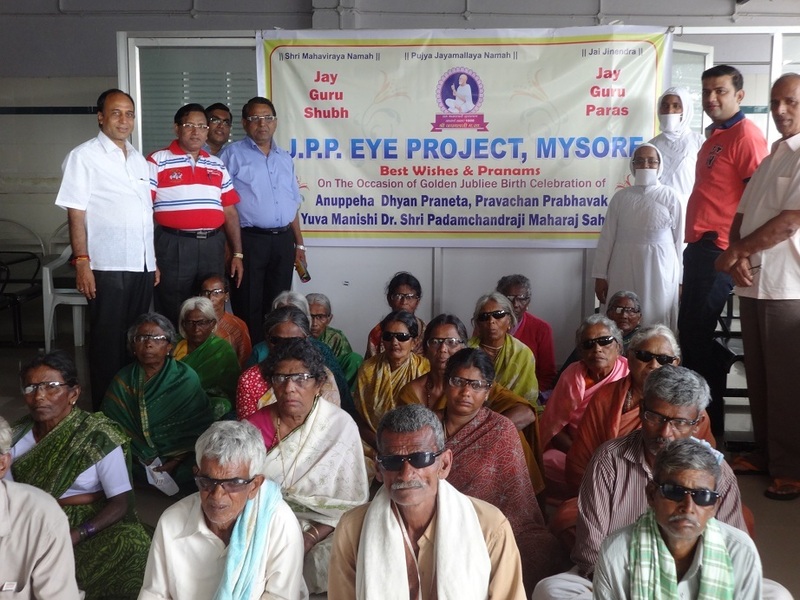 The patients recommended for cataract operation are then taken to Bhagwan Mahaveer Dharshan Eye hospital, Mysore and the whole expenses of operation is given by the trust and the operated patients are also given free spectates, medicines, free food, accommodation and transportation charges. Any person can contribute Rs:11000/- for one such eye camp and Rs:500/- for one eye operation and be a part of this project eyesight for needy persons.